– Finalist of the “Fedora price for Opera and Ballet 2014” for her project “Crystal Tears” with Andreas Scholl. November: Meret Schlegel and Kilian Haselbeck in the Philippines for DFW during the Chinese tour of http://cie-zeitsprung.ch. May: she stages “Por vos muero” of Nacho Duato in the Teatro Colon of Buenos Aires. March: she stages “Por vos muero” from Nacho Duato in the Staatstheater Nürnberg Ballet. April: she works with the Universal Ballet in Seoul staging “Multiplicity. Forms of Silence and Emptiness” from Nacho Duato. CATHERINE HABASQUE was born in Paris where she studies ballet and litterature. In 1984 she joins the Bonn Ballet where she dances soloist’s roles of the classical repertoire, under the direction of Peter van Dyck. In 1986 Jean Louis Barrault uses her as an actress and a dancer in his production “Le Théâtre de foire” in the Théâtre du Rond Point in Paris. In 1991 Maurice Béjart creates for her the role of Zerlina/Dona Elvira in “Tod in Wien”, which was performed among many other theaters in Paris Opera. In 1992 Nacho Duato offers her a contract as Principal Dancer for the Compañia Nacional de Danza Nacho. For nine consecutive years she dances in all the creations of Nacho Duato and works with other prominent choreographers such as Jiri Kylian, Mats Ek, Willian Forsythe, Ohad Naharin among others. In 2001, she decides to join the Ballet Basel. During the following seven years she takes part in all the creations of the house and guest choreographers. In 2002, she starts choreographing alongside her career as a soloist. A short experiment is rapidly followed by a 25 mns piece which success gives her the oportunity to create a piece for the Ballet Basel “Masques” in september 2004. During the season 2005-2006, she works closely with Jiri Kylian and Sabina Kupferberg on the only solo which Jiri Kylia has ever creates to a woman “Silent cries”. It is the first time ever the piece is performed outside of Netherlands Dans Theater. She is invited to perform in Galas and Festivals in Australia, Germany, Spain, Switzerland…. In may 2006, Theater Basel under the direction of Michael Schindhelm produces her full evening “Himmel und Hölle” for which she creates three new pieces including a solo for an actor. In 2007, the Festival International de Esparraguera commissiones her to create a solo, which she performed. In august 2007, she is nominated “Best dancer of the year” in the Deutsche Kritikerumfrage 2006-07 for Silent cries from Jiri Kylian and she becomes free lance. February: Cie 8 creates in Valence her full evening piece “Jeu d’ego” for an actor and two dancers based on “Belle du seigneur” from Albert Cohen. May: she produces a double bill creation – Entre nous /Entre nous – repli – in which she shares the stage and part of the creation work with Félix Duméril (Ex-director from the Bern Ballett). 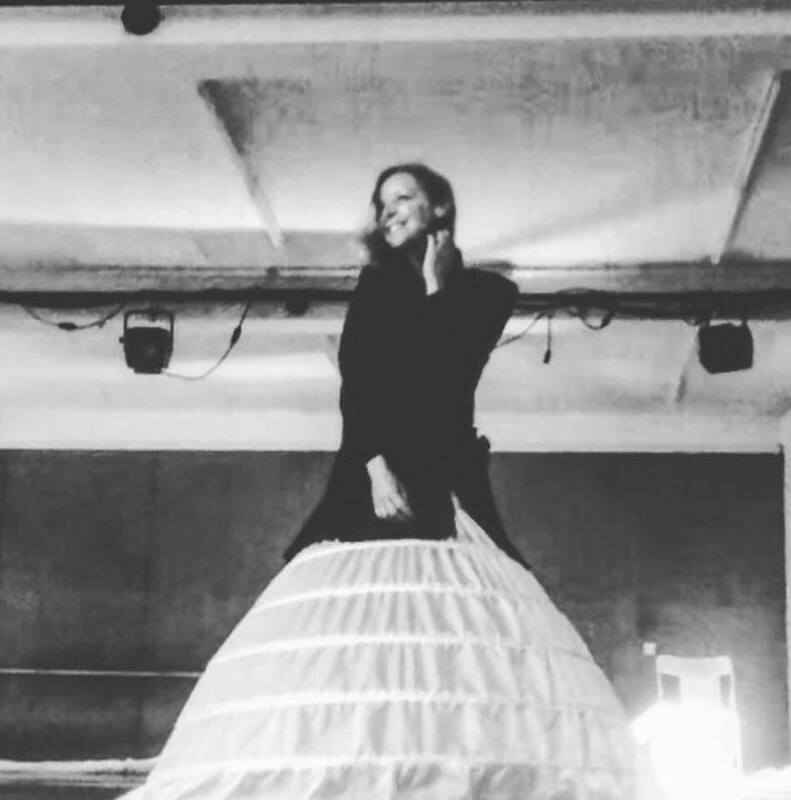 August: she takes part as a choreographer and as a dancer in the first opera production of the season of Theater Basel: “Alexander Fest” form Händel, direction Georges Delnon. September / October 2010: she directs the choreography of the Opera “Alcina” from Händel in the Opernhaus Chemnitz. Premiere: 09.10.2010 Musical direction: Jos van Veldhoven Regie: Dominik Wilgenbus. January: she takes part as an interpreter the creation of “Dobles”, a piece from Jose Besprosvany for a singer and a dancer. June: she stages “Duende” from Nacho Duato in the Staatstheater Nürnberg Ballet. April: she stages”Duende” from Nacho Duato in the Slowakisches Nationaltheater Ballet in Bratislava. March: Creation of “Dr Emmrich 1849” in Die Oper Chemnitz on the 31 of March 2012, a 40 minutes piece on music from J.S.Bach and J.Brahms. Costumes: Arik Aviad Herman Lighting design: Nicolas Fischtel. October: she takes part as an interpreter in the creation of “Second skin”, a creation by Kiriakos Hadjioannou” in Basel.